You searched for which does not fit your . We've redirected you to 401-040, which has the proper fitment. Create higher air velocity, better low and mid-range response and power, and better performance for your motorcycle with the S&S Cycle Super E Complete Carburetor Kit. Smaller than the Super G with a 1 7/8” bore, this kit is recommended for engines with displacement up to 100 cubic inches, The Super E kit includes everything you need for installation on your Evo Softail, including rigid mounting style manifold without mount flanges and air cleaner. 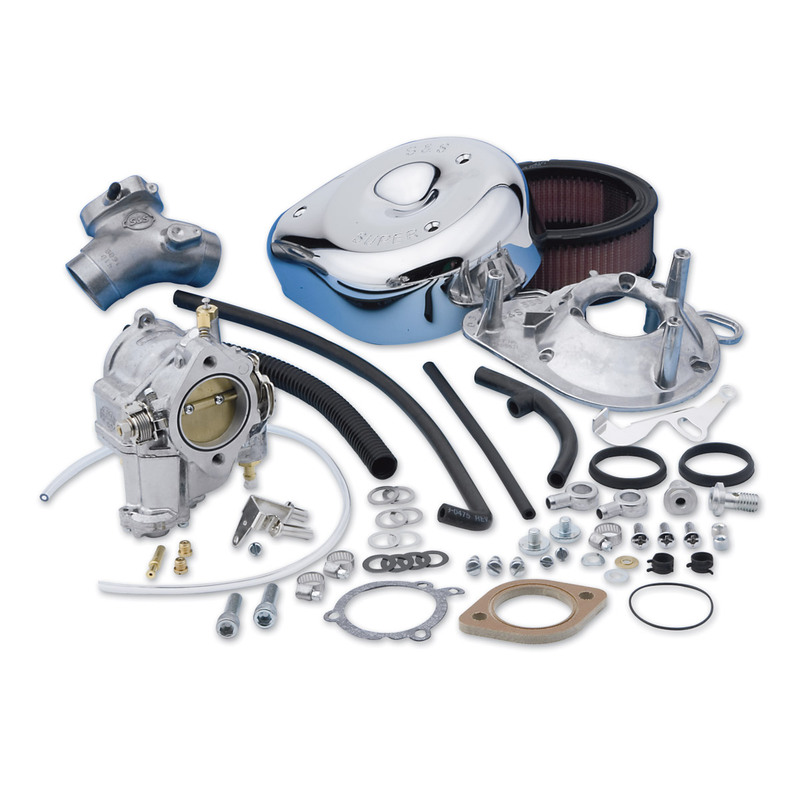 The Super E Complete Carburetor Kit also accepts stock late-model throttle cables on all Big Twin models. For models with longer strokes a custom intake manifold may be required. Adaptor kits are available to retain your factory cruise control. Removing the old HD CV carb and installing the S&S super e was the best thing I could have done for my 28 yr old bike . S&S Cycle Super ‘E’ and Super ‘G’ carb kits are not legal for use on motor vehicles operated on public highways in the state of California, or in other states where similar pollution laws may apply. The user shall determine the suitability of the product for his or her use and shall assume all risk and liability in connection with.